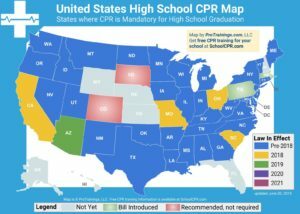 School districts must provide one time cardiopulmonary resuscitation (CPR) and automatic external defibrillator (AED) instruction to high school students as part of the Health or Physical Education curriculum. Certification is not a requirement, but if a certification course is used, such courses shall be taught by instructors of CPR and AED. 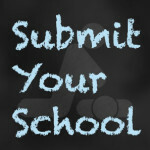 Schools may use an instructional program which is nationally recognized and is based on the most current national evidence based emergency cardiovascular care guidelines for CPR and the use of an AED.